For those that prefer a more personalized guided deer hunting experience, come spend the week stalking Northern Maine big bucks. In our 1-on-1 Hunts we still-hunt bare ground and track if there is snow. Hunters must be in good shape and be prepared to see some country, spending long days in the woods. 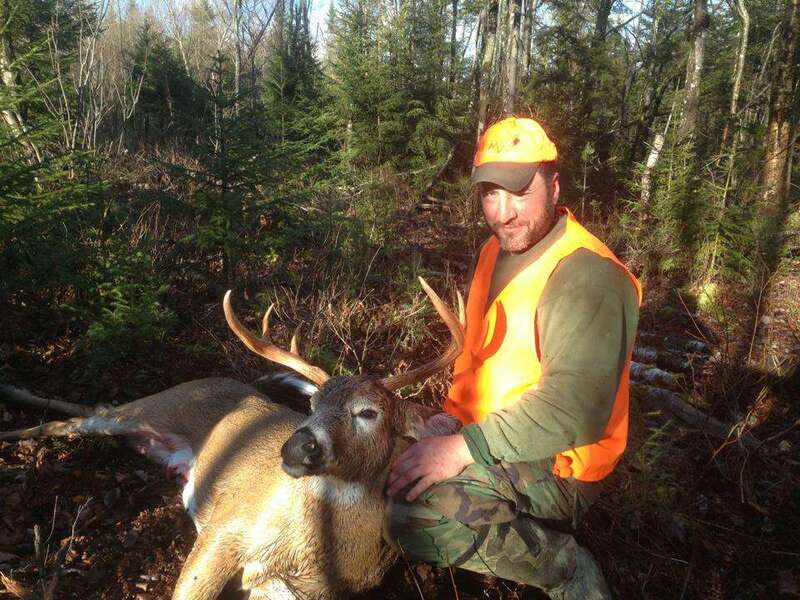 This is a demanding hunt, simply because of the difficult terrain and dense forests found in Northern Maine. Stalking deer requires stealth, patience, and persistence all day, in any weather. It is only with this persistence that larger deer can be found and taken. If your looking for a Maine deer hunting adventure, this hunt is for you. Book your hunt today!!! 1-on-2 Hunt – For small groups of two hunters. Each hunter may choose to spend up to three (3) days of their stay hunting 1-on-1 with their guide. The remainder of their week will be spent hunting from strategically placed treestands. 1-on-3 Hunt – For groups of three hunters. Each hunter may choose to spend two (2) days of their stay hunting 1-on-1 with their guide. Like the 1-on-2 hunt, the remainder of the hunter’s week will be spent hunting from strategically placed treestands. 1-on-4+ Hunt (5 Hunters max) – This hunt is designed for larger groups, up to five (5) hunters maximum. Although primarily a stand hunt, each hunter may choose to spend one (1) day of their stay hunting 1-on-1 with their guide, and the remainder of the week stand hunting.